With 18 schools serving more than 9,100 students, Chatham County Schools (CCS) has a five-year graduation rate of 88.7 percent, which remains above the state’s average. Approximately 69 percent of CCS students enroll in college after graduating from high school, which, too, is higher than the state’s average. At least $10,629,000 worth of scholarships and grants were offered to CCS students during the 2015-2016 academic year. CCS is the largest employer in Chatham County. The district has roughly 1,373 employees, including 740 teachers, and 86 of them earned National Board Certification; 47 percent of CCS teachers have advanced degrees. Among the innovative programs in the district is the early-college concept at Chatham School for Science and Engineering, where graduates may earn both a high school diploma and a two-year college degree. More about the district is at www.chatham.k12.nc.us. Chatham Charter School will establish and maintain a challenging learning environment that respects the individual learners and prepares students to succeed in a globally competitive society. Students will become self-directed, achieve academic excellence, and develop the personal values and responsibilities necessary to become globally competitive citizens in a rapidly changing world. Chatham Charter School is proudly accredited by SACS CASI, an accrediting division of AdvancED. Accreditation demonstrates our dedication to continuous improvement in all that we do. We are committed to serving students at a level that is consistent with national standards of excellence. Chatham Charter first became accredited in 2006 and most recently earned continuing accreditation in 2016. Visit our website at http://www.chathamcharter.org/. Central Carolina Community College, a member of the North Carolina Community College System, offers a wide variety of programs. Within these programs, students can earn associate degrees or college transfer credits, diplomas, or certificates. CCCC also offers courses in such areas as short-term job training, college and career readiness, personal interests, business and industry, and emergency services training. CCCC has Chatham County locations at the Chatham Main Campus in Pittsboro and the Siler City Center near the Chatham Hospital in Siler City. CCCC is in the process of building a new Chatham Health Sciences facility that will increase program offerings to residents. 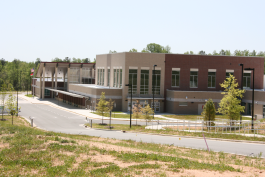 In addition, CCCC and Chatham County Schools has opened the county’s first early college, the Chatham School of Science and Engineering. 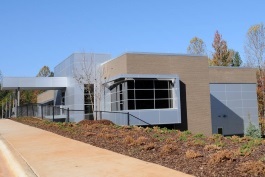 CCCC’s Chatham Main Campus in Pittsboro is known as Green Central, with programs including Building Construction Technology, Culinary Arts, Sustainability Technologies, and Sustainable Agriculture. CCCC’s student farm on its Chatham Main Campus ranks among the Top 20 best college farms in America, according to Best College Reviews. CCCC also offers Medical Assisting, which will be among the programs offered at the new Chatham Health Sciences facility. The Small Business Center (SBC), located at the Chatham Main Campus, is a great resource for new and existing businesses. This center serves as a comprehensive resource center and offers business counseling and coaching, training, special programs and business seminars. To learn more or to register for free Business Seminars, visit www.chathamsbc.com. 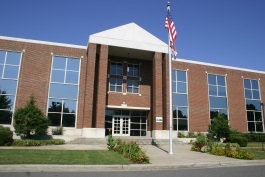 The NCWorks Career Center is housed at the Chatham Main Campus. You can read more about the college by visiting the CCCC website at www.cccc.edu. state, located in northeastern Chatham County.